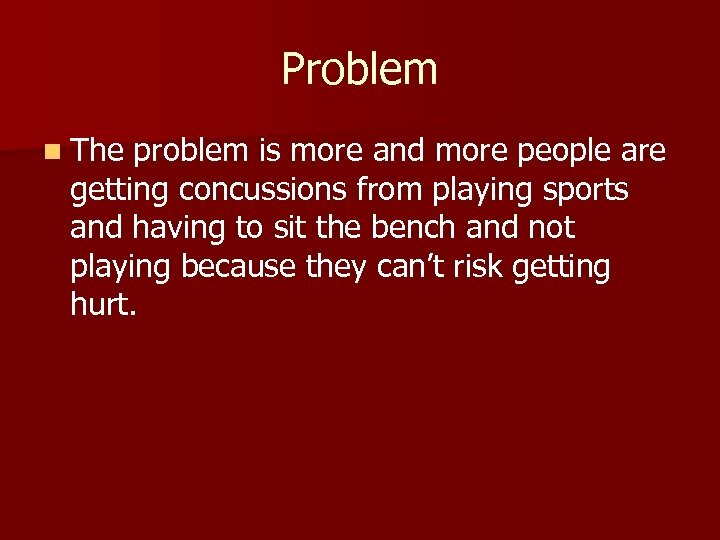 Problem n The problem is more and more people are getting concussions from playing sports and having to sit the bench and not playing because they can’t risk getting hurt. 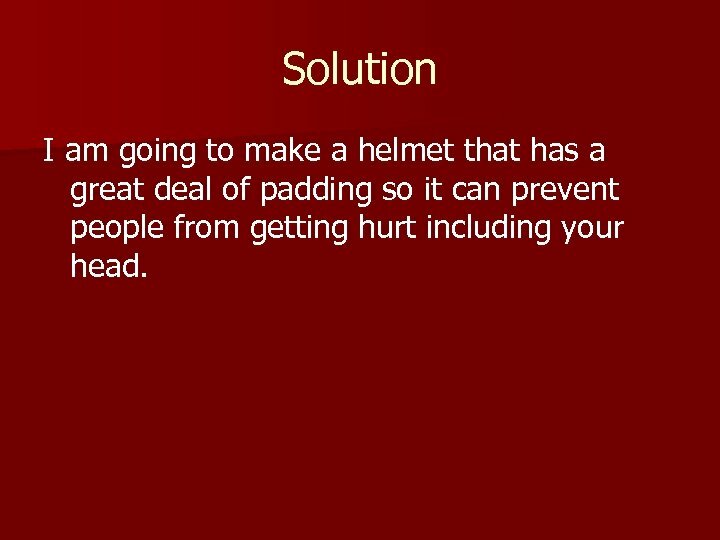 Solution I am going to make a helmet that has a great deal of padding so it can prevent people from getting hurt including your head. 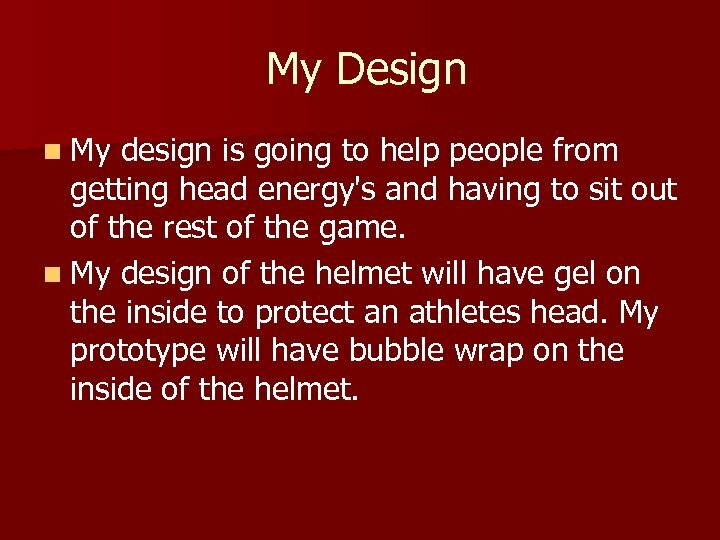 My Design n My design is going to help people from getting head energy's and having to sit out of the rest of the game. 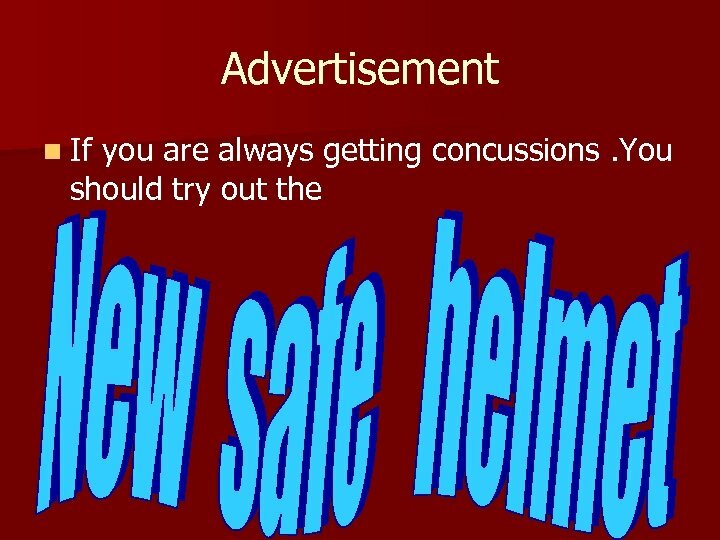 n My design of the helmet will have gel on the inside to protect an athletes head. 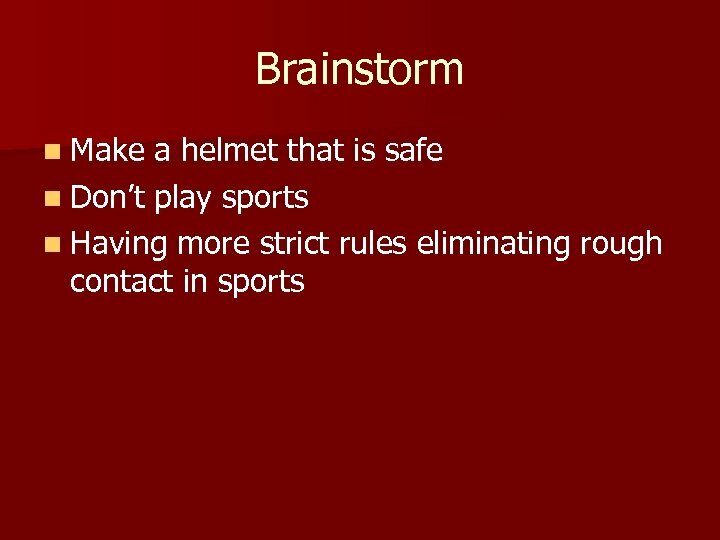 My prototype will have bubble wrap on the inside of the helmet. 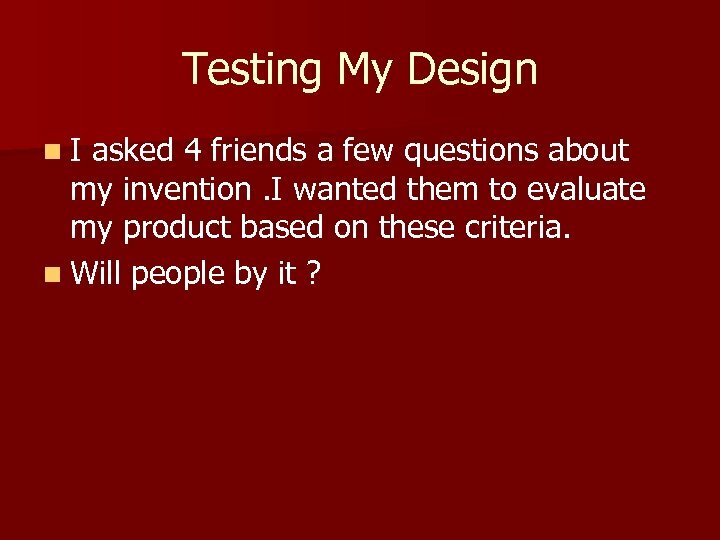 Testing My Design n. I asked 4 friends a few questions about my invention. 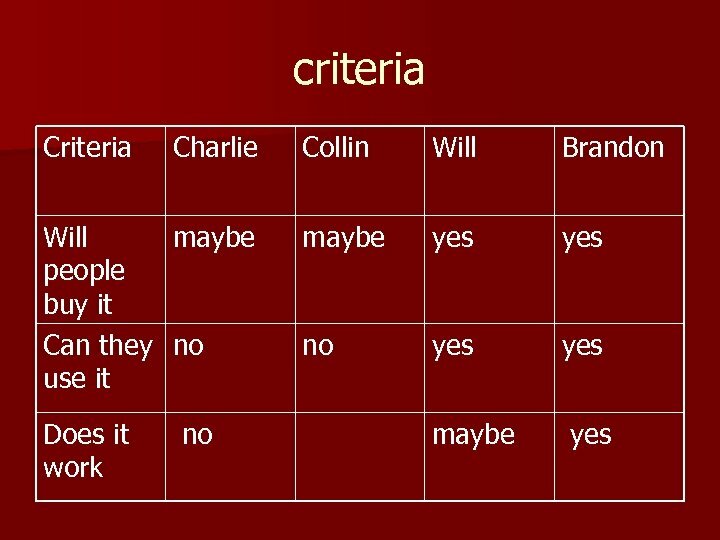 I wanted them to evaluate my product based on these criteria. n Will people by it ? 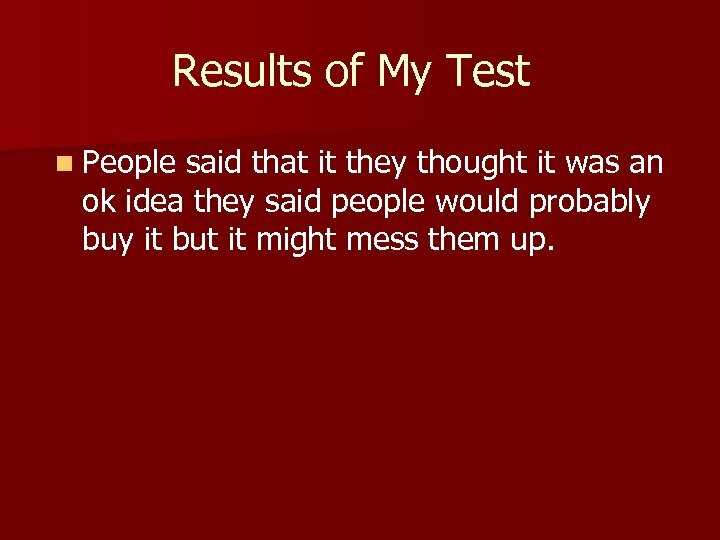 Results of My Test n People said that it they thought it was an ok idea they said people would probably buy it but it might mess them up. 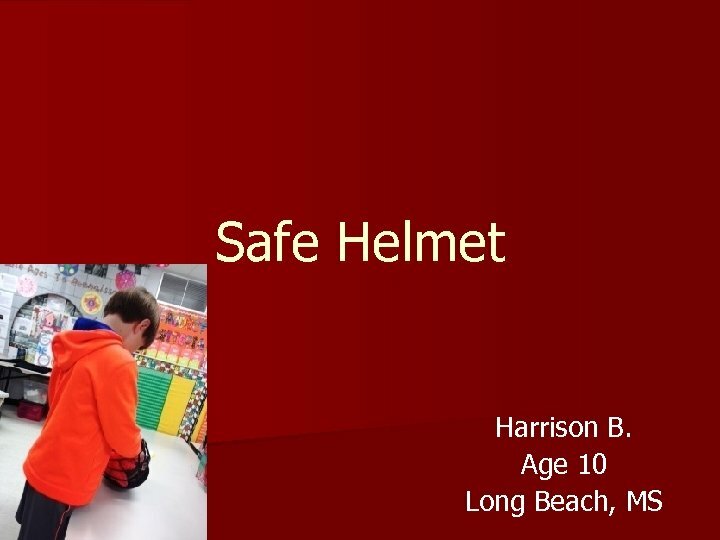 How I built it First I went to the store and got bubble rap and then went home and got my helmet then put the bubble rap inside of the helmet and it was complete. 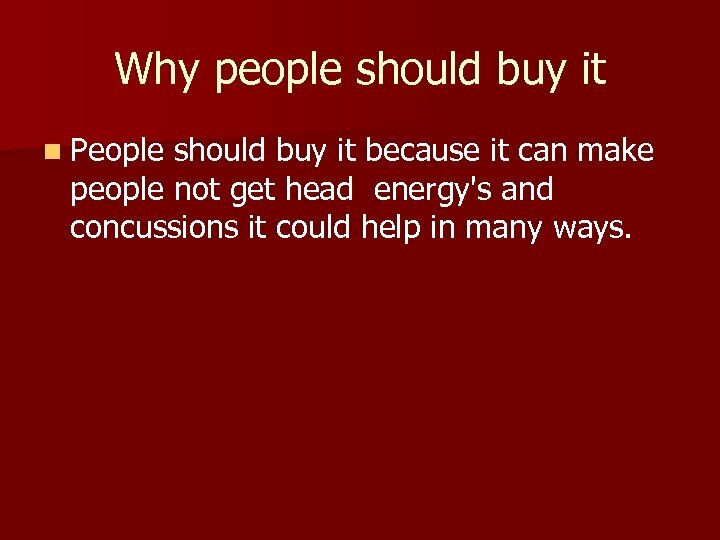 Why people should buy it n People should buy it because it can make people not get head energy's and concussions it could help in many ways. 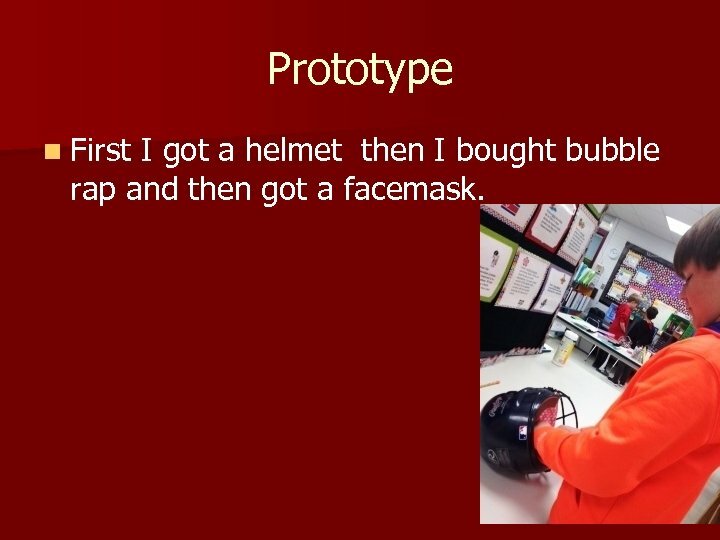 Prototype n First I got a helmet then I bought bubble rap and then got a facemask. ОСНОВЫ ГЕОДЕЗИЧЕСКОЙ АСТРОНОМИИ. ФИЗИЧЕСКИЙ СМЫСЛ ГЕОГРАФИЧЕСКИХ КООРДИНАТ.